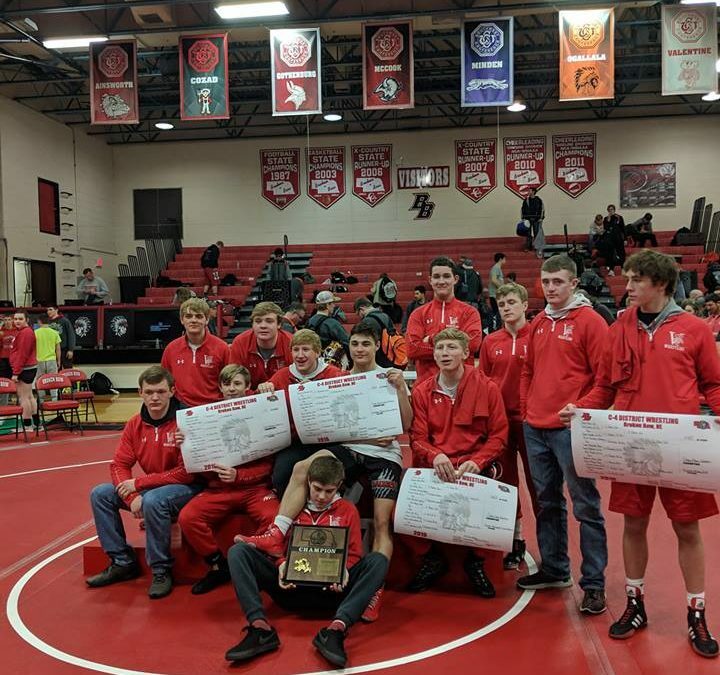 A few nail biters, but Valentine ends up District Wrestling Champs! 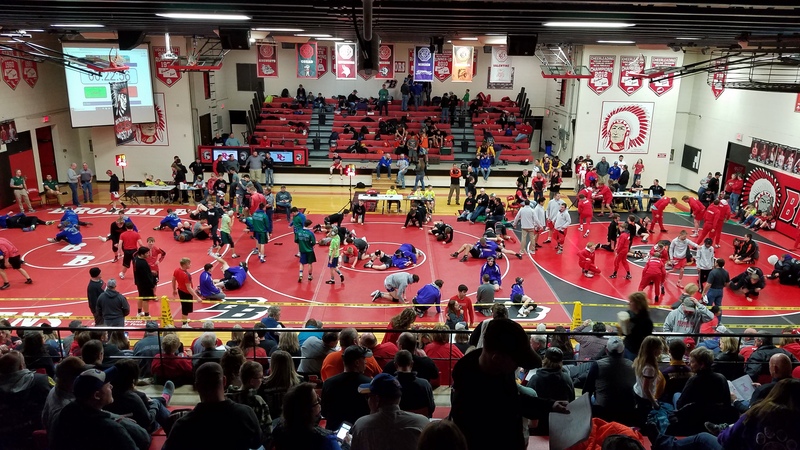 Great job to all of the wrestlers. Chris Williams (34-1) placed 1st and scored 28.0 team points. Tobin Olson (21-16) placed 2nd and scored 16.0 team points. Holden Mundorf (11-15) place is unknown and scored 7.0 team points. Gage Krolikowski (37-0) placed 1st and scored 26.0 team points. Morgan McGinley (25-6) placed 1st and scored 25.0 team points. Chase Olson (31-3) placed 1st and scored 24.0 team points. Gunnar Battershaw (24-14) placed 2nd and scored 20.0 team points. Caleb Long (33-0) placed 1st and scored 28.0 team points. Lane McGinley (29-6) placed 2nd and scored 18.0 team points. Rhett Witt (7-12) place is unknown and scored 0.0 team points. Jayce Anderson (9-19) place is unknown and scored 1.0 team points. Kalob Critchfield (7-17) place is unknown and scored 0.0 team points.